Ever since we created the aluminum blind in 1946, Hunter Douglas has defined our industry with proprietary products that deliver revolutionary style and functionality. Our expertise in customisation helps keep our customers around the world at the forefront of design. Our strength is our ability to develop and market innovative, high quality, proprietary products that appeal to discerning consumers. Our success is based upon our trusted brand names recognised around the world: Hunter Douglas® and Luxaflex® Duette® Silhouette® and Vignette®. Combining unique design and practical features, our products have become essential ingredients in creating beautiful homes. Individually customised to every customer’s specific requirements, our window treatments offer ease of use and reliable performance with built in convenience and safety features. 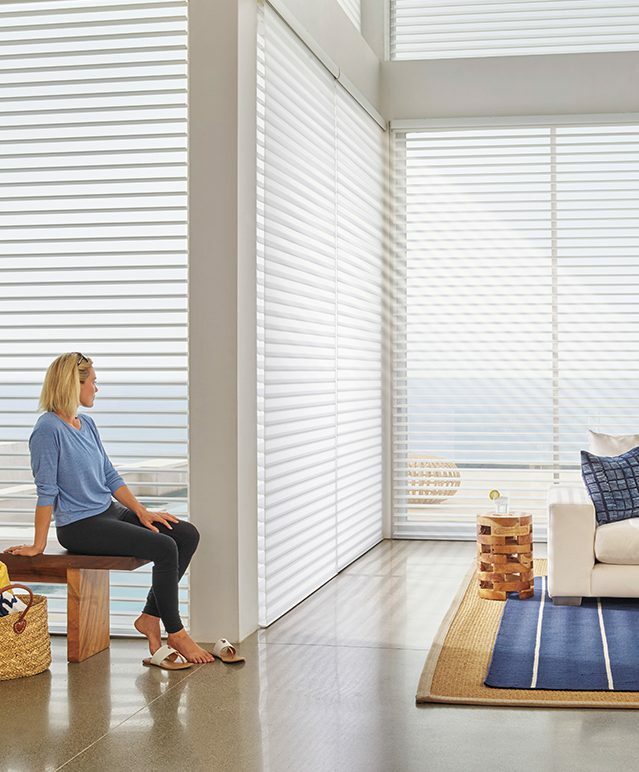 From cordless to cutting edge motorised operation, Hunter Douglas offers and the most exclusive and innovative products in the market. Our proprietary operating systems make our window treatments easy to use with reliable performance, convenience and improved safety features – identified with our “Designed with Safety in Mind” logo. 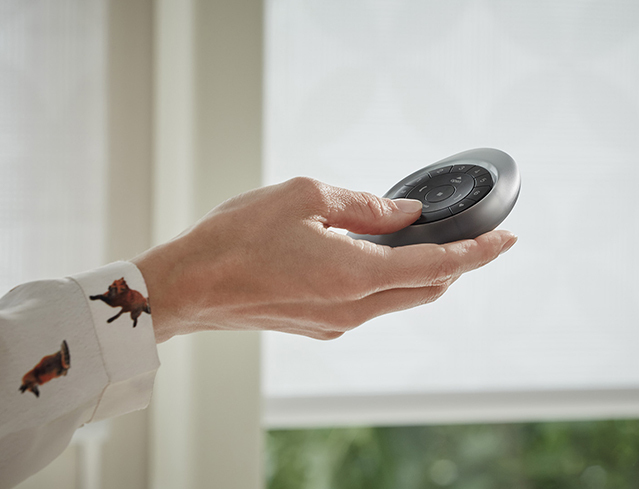 Our innovations include award-wining LiteRise® and SmartCord® and the revolutionary PowerView™ Motorisation an advanced home automation system that allows Hunter Douglas window treatments to be conveniently operated via a smart phone, tablet or remote control based on personalised settings. Our products are designed to offer a range of light control and privacy options with a broad selection of fabrics and materials from sheer to room darkening to opaque. The innovative design of our products can deflect and redirect sunlight precisely. Our specially engineered translucent fabrics diffuse harsh sunlight and draw it deeper into the room – dispersing the light to help illuminate homes naturally and reduce the need for artificial light. Our innovations include the Hunter Douglas “Top-Down/Bottom-Up ” system lets you operate shades from the top, the bottom or somewhere in-between providing privacy and access to natural light. From dimming unwanted sunlight to ensuring complete privacy, our products are designed with unique features that provide limitless options for privacy and light control. 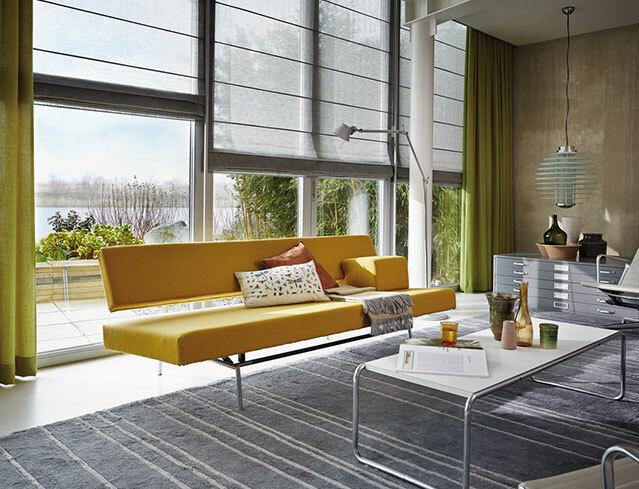 At Hunter Douglas, we’re an industry leader in energy savings at the window. In 1985, we invented highly energy-efficient Duette® Shades in response to the energy crisis of the late 1970s. 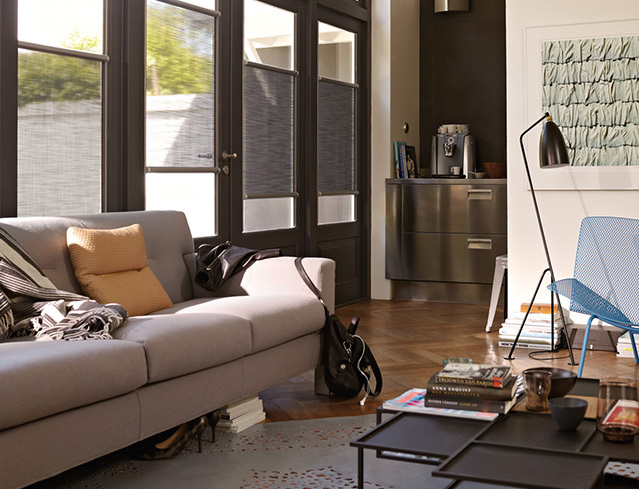 And our latest innovation – Duette® Architella® Shades, are the next generation design for even greater energy efficiency – keeping homes warmer in the winter and cooler in the summer. “We make ‘green’ beautiful with stylish solutions for saving energy”. For over 60 years, Hunter Douglas has pioneered the design of award-winning, proprietary innovations driven by a single philosophy – that great products are rooted in great design. 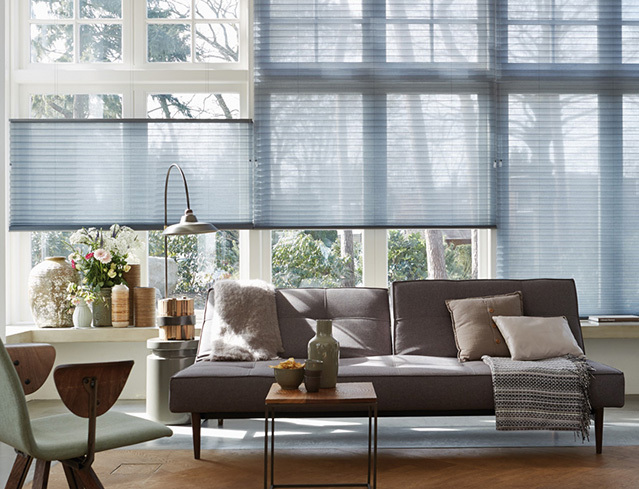 We introduced the world to the revolutionary Venetian Blind in 1946 – offering precise control of light intensity and direction with the quick twist of a wand. Our outstanding range is designed with the finest woods, alternative woods and aluminum in on trend colours and finishes. 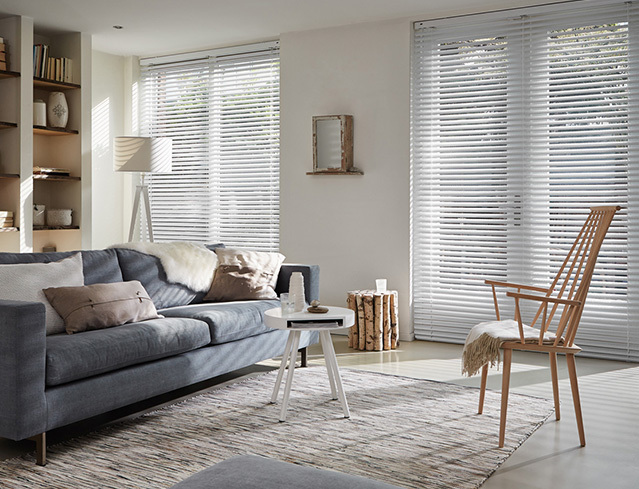 A firm favourite for windows, the enduring style of this product has made Venetian Blinds a design classic for the home. Developed in response to the energy crisis of the late 1970s, our Duette®Shades were an industry innovation and the first product of its kind. The unique honeycomb construction traps air inside the cells to keep homes warmer in winter and cooler in the summer. 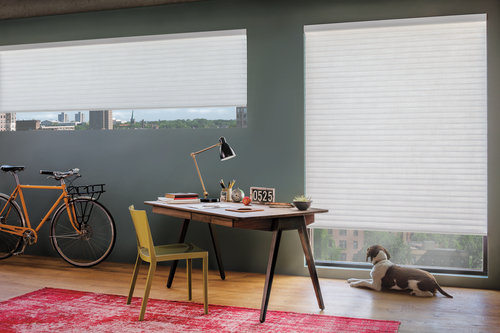 Duette®Shades maximise light control and privacy, becoming the industry’s proven leader in both style and innovation. Unlike any other product on the market today, Silhouette®Shades transforms harsh light into gentle, diffused light. Silhouette®Shades soft fabric vanes are suspended between two sheer facings that soften and diffuse light with unparalleled elegance setting a whole new standard of style and beauty. The new Tiered™ Vignette® design of this classic shade offers the soft elegant stacked-fabric look of a traditional Roman Shade. Because it’s made with the exclusive Vignette® Modern Roman Shades construction, there are no exposed cords, rings or grommets on the back of the shade. 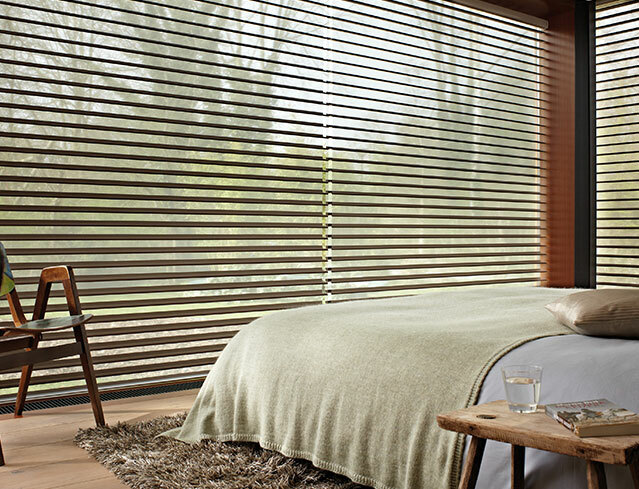 Facette™Shades combine the style and warmth of textured fabric vanes with the simplicity of a window covering which can be raised or lowered in an instant. By simply sliding the opaque and translucent sections past one another, you can choose the perfect balance of privacy and light, day or night. 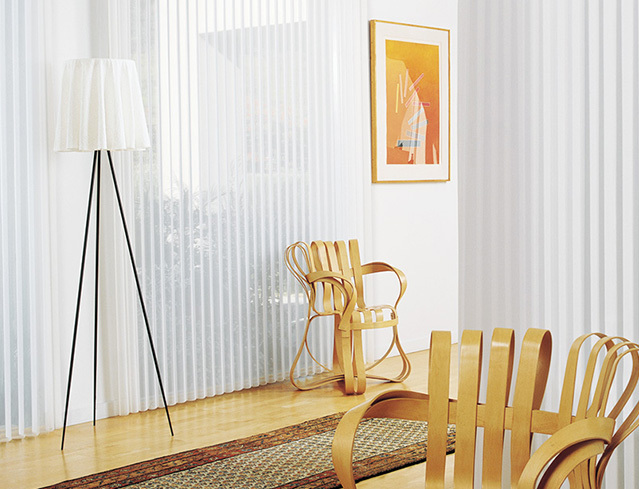 Designed for wide windows and sliding doors, Luminette® Privacy Sheers come in an array of sheer and drapery-like fabrics for unlimited light-control and privacy options. Harsh exterior light is diffused into soft light that spreads evenly throughout a room to maximise daylight hours and reduce the need for artificial light. 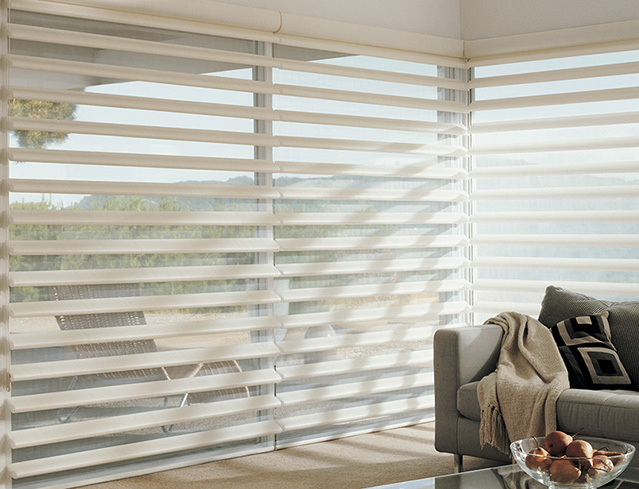 The soft vertical vanes can block 99% of UV rays when closed. 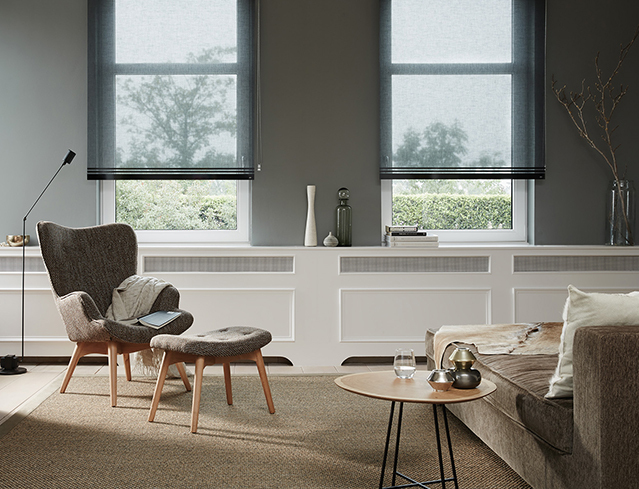 Ultimate versatility in a fabric shade, Pirouette®Shades feature soft fabric vanes floating on a sheer backing which let you control the amount of natural light that comes in to a room with dramatic effect. When closed, they look just like a contemporary shade. The Invisi-Lift™ system allows you to view through the sheer fabrics and floating vanes with no obstructing cords or tapes while maintaining a discreet level of privacy. Our unique design for turn-and-tilt windows, Nano roller blinds can be mounted directly on the glass between the window frame. The “Top Down/Bottom Up” design offers variable light control as well as secure privacy. A revolutionary home automation systems that automatically moves allows Hunter Douglas window treatments to be be conveniently operated via smart phone, table of remote control. Schedule and control individually, by room, or all together for a whole home solution. Create scenes to set window coverings to precise, personalised positions based on time of day or activity. PowerView Motorisation fits with today’s connected lifestyles. 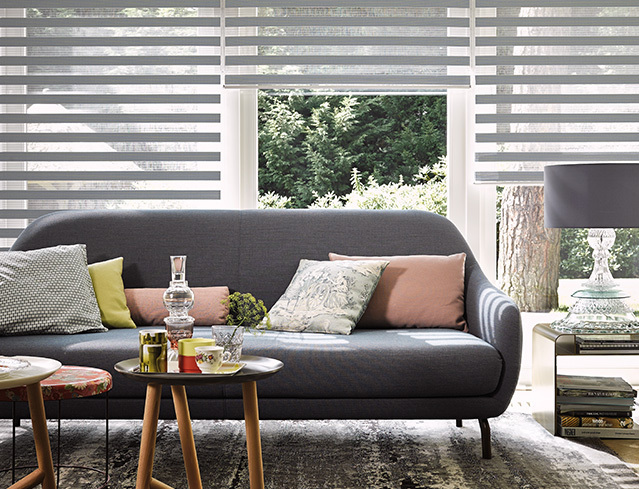 The new Sonnette™ Cellular Roller Shades are hardworking, impressive beauties combining the dimensional, energy-efficient construction of a cellular shade with the clean lines and simplicity of a roller shade. The innovative curved shape gently diffuses light, providing ambiance and character to all angles of a room. Luxaflex® and Hunter Douglas are the market leaders in custom made windows treatments and cutting edge motorisation technology. 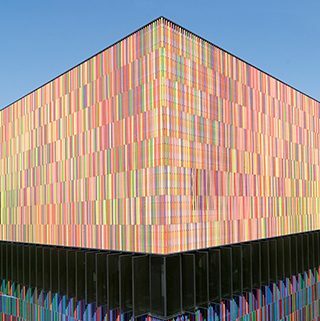 Hunter Douglas architectural solutions are featured in some of the world’s most sustainable and recognisable buildings .